Geneva - The death of 14-year-old Syrian refugee in Lebanon is deeply distressing, says the Euro-Mediterranean Human Rights Monitor, adding that his death is a product of a growing racist policy towards refugees in Lebanon. Ahmed Zoubi was chased off by members of the Beirut municipality while working at a shoe shop in Talat al-Khayyat, a neighborhood in the Lebanese capital, Euro-Med’s team reported. The death of Zoubi is part of an array of racist practices followed by official and unofficial Lebanese bodies targeting Syrian refugees in Lebanon, said the non-profit watchdog, including deportation and expulsion from their homes as well as imposing curfews on them, as has been decided by more than 13 Lebanese municipalities. Statements by Lebanese President Michel Aoun and Foreign Minister Gebran Bassil stressing the need for the return of Syrian refugees to their country is quite understandable, yet they have a negative impact on Syrians living in the country. Lebanese channel MTV posted an article on its website, quoting a doctor indicating that cancer rates in the country are rising because of Syrian refugees, a claim that has also fueled racism against them. A transparent investigation into Zoubi’s death must be launched immediately, said Ihsan Adel, Euro-Med’s legal advisor, stressing the need for accountability against perpetrators of racism-related incidents in the country. Syrian refugees in the country are already paying the toll of life’s difficulties in Lebanon, the host country, with about 70% of the one million Syrian refugees living below the poverty line according to statistics by the United Nations High Commissioner for Refugees. Lebanese human rights activists circulated a video showing members of the Beirut Guard Regiment chasing Zoubi before returning to their car without capturing him. Three days later, the body of the child was found in one of the buildings under construction in Beirut. It is reported that he was chased because he worked in an area where the municipality prevents street vendors from selling their products. 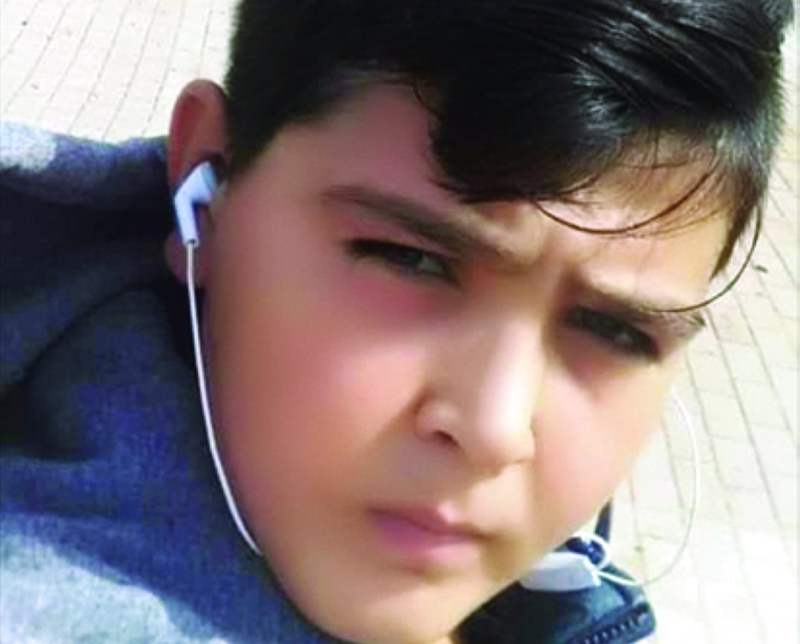 While the Municipality of Beirut said that the child was hunted for theft, activists and the child's family confirmed that the municipal police used to chase Ahmed all the time. They also reported that the municipal police had already smashed his wooden box, which he used to clean and polish shoes several times, and detained him for 24 hours once. “We have seen a number of tragic incidents in the last few days against Syrian refugees in Lebanon, the most recent of which was the attack by a group of Lebanese individuals on Syrian refugees in the town of Arsal and the destruction of their properties without the authorities taking measures to protect the refugees,” said Alaa Barghouti, Euro-Med’s Media advisor. Syrian refugees in Lebanon are living in extremely bad conditions, with the Lebanese authorities restricting their right to freedom of movement, work and residence, thus pressuring them to return to Syria despite the risks the lives of some of them might be put under. Euro-Med calls on the international community to cooperate with Lebanese officials to help support Syrian refugees in the country. Euro-Med also calls on the Lebanese authorities to control the growing wave of racism against Syrian refugees and to take into consideration the human rights standards in relation to the rights of refugees in the country.